728382-B21 HP 2P Intel Xeon 16-Core E5-4667V3 2.0GHz 40MB L3 Cache 9.6GT/S QPI Speed Socket FCLGA2011 22NM 135W Processor Complete Kit For BL660C GEN9. New Bulk Pack. 728380-B21 HP 2P Intel Xeon 18-Core E5-4669V3 2.1GHz 45MB L3 Cache 9.6GT/S QPI Speed Socket FCLGA-2011 22NM 135W Processor Only For BL660C GEN9 Server. New Bulk Pack. 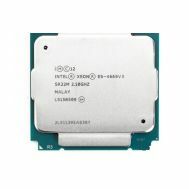 338-BHWO Dell Intel Xeon 18-Core E5-4669V3 2.1GHz 45MB L3 Cache 9.6GT/S QPI Speed Socket FCLGA-2011 22NM 135W Processor. New Bulk Pack. 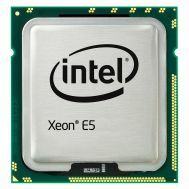 338-BHWF Dell Intel Xeon 18-Core E5-4669V3 2.1GHz 45MB L3 Cache 9.6GT/S QPI Speed Socket FCLGA-2011 22NM 135W Processor. New Bulk Pack. 728372-B21 HP 2P Intel Xeon 12-Core E5-4650V3 2.1GHz 30MB Smart Cache 9.6GT/S QPI Speed Socket FCLGA-2011 22NM 105W Processor Kit For BL660C GEN9. New Bulk Pack. 830291-B21 HP Intel Xeon E5-4669V4 22-Core 2.2GHz 55MB L3 Cache 9.6GT/S QPI Speed Socket FCLGA2011-3 135W 14NM Processor Kit For DL560 Gen9 Server. New Bulk Pack. 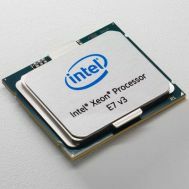 728370-L21 HP Intel Xeon 14-Core E5-4660V3 2.1GHz 35MB L3 Cache 9.6GT/S QPI Speed Socket FCLGA 2011 22NM 120W Processor Only For BL660C GEN9 Server. New Bulk Pack. 728370-B21 HP 2P Intel Xeon 14-Core E5-4660V3 2.1GHz 35MB L3 Cache 9.6GT/S QPI Speed Socket FCLGA-2011 22NM 120W Processor Kit For BL660C GEN9 Server. New Bulk Pack. 728374-B21 HP 2P Intel Xeon 12-Core E5-4640V3 1.9GHz 30MB L3 Cache 8GT/S QPI Speed Socket FCLGA2011 22NM 105W Processor Kit For BL660C GEN9 Server. New Bulk Pack. 858201-001 HP Intel Xeon E7-8891V4 10-Core 2.8GHz 60MB L3 Cache 9.6GT/S QPI Speed Socket FCLGA2011 165W 14NM Processor. New Bulk Pack. 338-BHUJ Dell 2p Intel Xeon 12-Core E5-4640V3 1.9GHz 30MB L3 Cache 8GT/S QPI Speed Socket FCLGA2011 22NM 105W Processor Only. New Bulk Pack. 338-BHWM Dell 2P Intel Xeon 12-Core E5-4640V3 1.9GHz 30MB L3 Cache 8GT/S QPI Speed Socket FCLGA2011 22NM 105W Processor Only. New Bulk Pack. 816659-B21 HP Intel Xeon E7-8891V4 10-Core 2.8GHz 60MB L3 Cache 9.6GT/S QPI Speed Socket FCLGA2011 165W 14NM Processor Kit For DL580 GEN9 Server. New Bulk Pack. 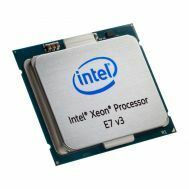 742708-B21 HP Intel Xeon 18 Core E5-4669V3 2.1GHz 45MB L3 Cache 9.6GT/S QPI Speed Socket Fclga-2011 22NM 135W Processor Only For Dl560 Gen9 Server. New Bulk Pack. 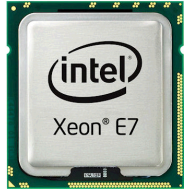 788335-B21 HP Intel Xeon Quad Core E7 8893V3 3.2GHz 45MB Last Level Cache 9.6GT/S QPI Socket FCLGA 2011 22NM 140W Processor Only For DL580 Gen9. New Bulk Pack. 788333-B21 HP Intel Xeon 10 Core E7 8891v3 2.8GHz 45MB Last Level Cache 9.6GT/S QPI Socket Fclga2011 22NM 165W Processor Complete Kit For Dl580 Gen9 Server. New Bulk Pack. CM8066902885200 Intel Xeon E7-8890V4 24-Core 2.2GHz 60MB L3 Cache 9.6GT/S QPI Speed Socket FCLGA2011 165W 14NM Processor. New Bulk Pack. 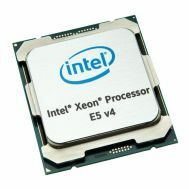 SR2SS Intel Xeon E7-8890V4 24-Core 2.2GHz 60MB L3 Cache 9.6GT/S QPI Speed Socket FCLGA2011 165W 14NM Processor. New Bulk Pack. 00ML994 IBM Intel Xeon Quad Core E7 8893V3 3.2GHz 45MB Last Level (L3) Cache 9.6GT/S QPI Socket FCLGA2011 22NM 140W Processor Only. New Bulk Pack. 830289-B21 HP Intel Xeon E5-4667V4 18-Core 2.2GHz 45MB L3 Cache 9.6GT/S QPI Speed Socket FCLGA2011-3 135W 14NM Processor Kit For DL560 GEN9 Server. New Bulk Pack. 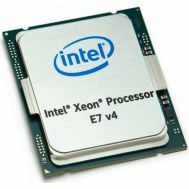 SR2SQ Intel Xeon E7-8891V4 10-Core 2.8GHz 60MB L3 Cache 9.6GT/S QPI Speed Socket FCLGA 2011 165W 14NM Processor. New Bulk Pack. 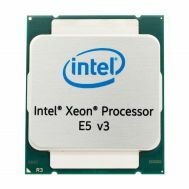 338-BHUK Dell 2P Intel Xeon 10-Core E5-4627V3 2.6GHz 25MB L3 Cache 8GT/S QPI Speed Socket FCLGA2011 22NM 135W Processor. New Bulk Pack. CM8066902027903 Intel Xeon E7-8891V4 10-Core 2.8GHz 60MB L3 Cache 9.6GT/S QPI Speed Socket FCLGA2011 165W 14NM Processor. New Bulk Pack. 00YJ100 IBM Xeon E5-2699V4 22-Core 2.2GHz 55MB L3 Cache 9.6GT/S QPI Speed Socket FCLGA2011 145W 14NM Processor. New Retail Factory Sealed With Full Manufacturer Warranty. 00YJ100 IBM Xeon E5-2699V4 22-Core 2.2GHz 55MB L3 Cache 9.6GT/S QPI Speed Socket FCLGA2011 145W 14NM Processor. New Bulk Pack. 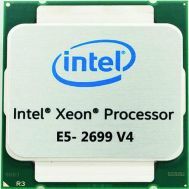 788317-B21 HP Intel Xeon 18-Core E7-8890V3 2.5GHz 45MB Last Level L3 Cache 9.6GT/S QPI Socket FCLGA 2011 22NM 165W Processor Complete Kit For DL580 GEN9 Server. New Bulk Pack. 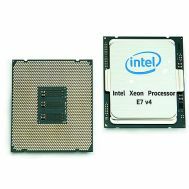 871026-B21 HP Intel Xeon E5-2699AV4 22-Core 2.4GHz 55MB L3 Cache 9.6GT/S QPI Speed Socket FCLGA2011 145W 14NM Processor only for DL380 GEN9 server. New Bulk Pack. 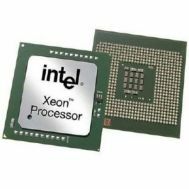 802286-001 HP Intel Xeon 10-Core E7-8891V3 2.8GHz 45MB Last Level (L3) Cache 9.6GT/S QPI Socket FCLGA 2011 22NM 165W Processor. New Bulk Pack. 44X4036 IBM Intel Xeon 15 Core E7 8880lV2 2.2GHz 37.5MB L3 Cache 8GTS QPI Speed Socket FCLGA-2011 22NM 105W Processor Only. New Bulk Pack. 00ML942 IBM Intel Xeon 10-Core E7 8891V3 2.8GHz 45MB Last Level (L3) Cache 9.6GT/S QPI Socket FCLGA2011 22NM 165W Processor. New Bulk Pack. 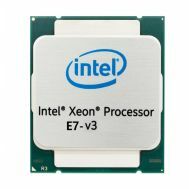 788337-B21 HP Intel Xeon 18-Core E7-8880LV3 2.0GHz 45MB Last Level Cache 9.6GT/S QPI Socket FCLGA2011 22NM 115W Processor Only For DL580 GEN9. New Bulk Pack. 830276-B21 HP Intel Xeon E5-4660V4 16-Core 2.2GHz 40MB L3 Cache 9.6GT/S QPI Speed Socket FCLGA2011-3 120W 14NM Processor Kit For DL560 GEN9 Server. New Bulk Pack. 802288-001 HP Intel Xeon 18-Core E7-8880LV3 2.0GHz 45MB Last Level Cache 9.6GT/S QPI Socket FCLGA2011 22NM 115W Processor. New Bulk Pack. 338-BGPC Dell Intel Xeon 12-Core E5-4650V3 2.1GHz 30MB L3 Cache 9.6GT/S QPI Speed Socket FCLGA-2011 22NM 105W Processor. New Bulk Pack. V8Y1J Dell Intel Xeon 12-Core E5-4650V3 2.1GHz 30MB L3 Cache 9.6GT/S QPI Speed Socket FCLGA-2011 22NM 105W Processor. New Bulk Pack. 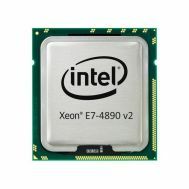 802287-001 HP Intel Xeon Quad Core E7 8893V3 3.2GHz 45MB Last Level Cache 9.6GT/S QPI Socket FCLGA 2011 22NM 140W Processor. New Bulk Pack. 789024-B21 HP Intel Xeon 16-Core E5-4667V3 2.0GHz 40MB L3 Cache 9.6GT/S QPI Speed Socket FCLGA2011 22NM 135W Processor Complete Kit For DL560 GEN9. New Bulk Pack. 833646-B21 HP Intel Xeon E5-2699V4 22-Core 2.2GHz 55MB L3 Cache 9.6GT/S QPI Speed Socket FCLGA 2011 145W 14NM Processor Complete Kit For XL2X0 Gen9 Server. New Bulk Pack. 801259-B21 HP Intel Xeon E5-2699V4 22-Core 2.2GHz 55MB L3 Cache 9.6GT/S QPI Speed Socket FCLGA 2011 145W 14NM Processor Complete Kit For ML350 Gen9 Server. New Bulk Pack. 500N5 Dell Intel Xeon 12-Core E7-4860V2 2.6GHz 30MB L3 Cache 8GT/S QPI Speed Socket FCLGA2011 22NM 130W Processor. New Bulk Pack.